Best VoIP Service Provider – AxVoice or Vonage? AxVoice is a popular VoIP service provider both for residential and business communication needs. All you need to have is a high-speed internet connection. The VoIP service offers you with pay-as-you-go plans, domestic, international along with low minute usage plans as well. One major reason AxVoice has gained the reputation of one of the best VoIP service providers is its economical prices. The most feasible calling plan is the USA/Can 200 Minutes Plan. This plan costs $5.99/month if you subscribe to it for a year and $9.99 if you want to get the month-to-month deal. The pay as you go plan costs $4.99/month. This plan includes unlimited incoming minutes, but for the outgoing calls, you will be charged at 1.5c/minute. This plan is pretty great if you don’t have to make lots of calls everyday. The Unlimited USA/Can Calling Plan happens to be AxVoice’s most popular plan. The plan is for $99/year or $8.25/month for the annual option. If you wish to use the monthly payment option, it costs $14.99/month if you don’t want to pay at the end of the year. The International Calling Plans start at $16.58/month ($199/year) if you choose the standard Residential International plan. Or you could go for $24.99/month for the month-to-month plan. This plan lets you call over 45 countries. If there is a country you wish to make a call to, and it is not on the list, then you can use the Plus Plan which includes over 60 countries at $29.99/month. AxVoice VoIP service provider offers an expansive variety of features out of which some are for free while some of the optional features are at a very low monthly fees. AxVoice has all the standard VoIP features such as call forwarding, call waiting, caller ID along with improved voicemail and more. Some of the noteworthy features include numerous Codecs which are particularly helpful for the users who have low internet speed. Then there are other great features such as Music on Hold, BYOD support, simultaneous ring and the voicemail audio files that are sent to email. AxVoice brings people affordable VoIP service plans options so that everyone can benefit from it and meet their communication needs. These plans include a no monthly fee outgoing call plan, limited minutes’ plan for calls to USA and Canada, an unlimited calling plan, international calling plans, and a low-cost pay-as-you-go plan as well. AxVoice’s international calling plans are pretty impressive as well one of which covers over 45 countries and other covers over 60 countries. The call quality is excellent and, even if your internet is not working smoothly, the call quality does not get affected. Among its affordable plans and a vast variety of features, AxVoice proves to be one of the best VoIP service providers by offering a 15-day money back guarantee, the ability to use your existing number, free hardware and activation, and an app for using this VoIP service on Android and iPhone as well. Like any other VoIP service provider out there, AxVoice has a few drawbacks as well. But, the benefits surpass them. The 15-day money back guarantee has its limitations. You need to have a clear understanding that this money back guarantee does not include the handling and shipping fees. Plus, these 15 days begin from the activation of the account. If you want to get your money back, see that it does not exceed 200 minutes of usage. You have to return all the equipment you received with the service with their original packing. Also, you have to do this within 10 days of cancellation. You have to pay for the return shipping. When you order the service, you have to pay a $19.99 handling and shipping fee. This fee is higher compared to other providers as most of them range from $10 to $15. If you wish to get the best VoIP service provider for your residential needs, then you can consider UA/Canada unlimited calling plan. Go through the AxVoice annual payment option. This is a great option with quite a competitive feature set. The international plans are cost-effective, too, compared to Vonage—another popular VoIP service provider. Vonage happens to be one of those VoIP service providers that have earned a prominent name for themselves in the VoIP industry. It is one of the largest VoIP providers in the USA. It has been in the crosshairs for a while in recent years regarding some advertisements involving free services and user cancellation. It has services extending to the United Kingdom and Canada as well. Over time, Vonage has gone through a number of changes both in marketing and in business. The S. and Canada Unlimited Plan cost $9.99/month for the first 12 months. After that, the plan will cost you $25.99/month. Although it is an unlimited plan, you have a normal usage limit of 3000 minutes per month. After you have used those minutes, your minutes will be billed at 3.9c per min. The S. and Canada 800 plan costs $21.99/month with free activation and shipping or else you get the plan with a no annual contract option at the same $21.99/month without free shipping and activation. This plan offers you with 800 minutes for both landlines and mobiles within the U.S., Canada, and Puerto Rico. Additional minutes cost 3.9 cents and low international rates. The S. and Canada 400 plan give you a one-year agreement at $12.99/month with free activation and shipping or, you get a no annual contract option at the same cost of $12.99/month price without activation and free shipping. This plan gets you 400 minutes to landlines and mobiles within the U.S., Canada as well as Puerto Rico with additional minutes which cost 5 cents each. Users can enjoy low rates within 10 other countries. The users can enjoy both national and international residential plans of Vonage. Each of the plans includes free calling to other residential Vonage customers, free activation, an option to keep your present phone number or even a new one, free shipping of the Vonage Box adapter with a subscription of a year. Customers can even sign up without signing up for the one-year contract if they want. Vonage also offers a number of World Plans to its users. These include a regular World Plan which has unlimited landline calling to 60 countries along with mobile phones in 10 countries. Although the World Plus Plan is a bit more towards the expensive side, the plan adds 250 monthly minutes for calls to mobiles in more than 40 countries. For frequent callers to Mexico or the Philippines, there is a specific plan. The Mexico plan offers unlimited calling to both mobile and landlines numbers in Mexico and North America. On the other hand, the Philippines plan offers 3,000 minutes of monthly calling to Globe numbers in the Philippines. You have to remember that the unlimited calling is actually limited to 3000 minutes per month and that is estimated to be within regular usage limits. Vonage VoIP service provider offers you with all the standard features with all the plans such as call waiting, call transfer, caller ID, caller ID block, three-way calling. You also get to benefit from Vonage Extensions that lets you use the Vonage plans from mobile phones. You can also access your Vonage voicemail from any phone or PC. Users can also benefit from Vonage premium features such as fax lines, additional phone lines, toll-free lines, virtual numbers, and softphone. There is one thing that you need to know about the Vonage caller ID. Your outgoing caller ID has a 13-character limit and this feature uses your last name and first initial. If you want to do the caller ID block, dial *67 and it would block your Vonage caller ID and use Anonymous instead. But, it is no more a popular option and, numerous VoIP service providers use the Anonymous call block so that you call does not get through its recipient. Vonage World Plan happens to be a popular option for those users who are frequent callers to international numbers due to its unlimited international calling feature to 60 countries. The call quality remains consistent for both inbound and outbound domestic calls across all devices and phones. Compared to many other providers, Vonage tends to be more accessible than many other providers. You get customer support 24/7 along with live chat support. Vonage website offers support through their website Monday to Sunday from 9 a.m. to 10:30 p.m. Although Vonage is ranked among one of the best VoIP service providers, it has accumulated some complaints and issues in resolving issues. The users are liable to a fee up to $99.99 per voice line if a plan under contract is canceled early. User reviews have revealed that international phone calls have lower sound quality compared to domestic calls. As far as the call quality of international calls is concerned, it varies from country to country. 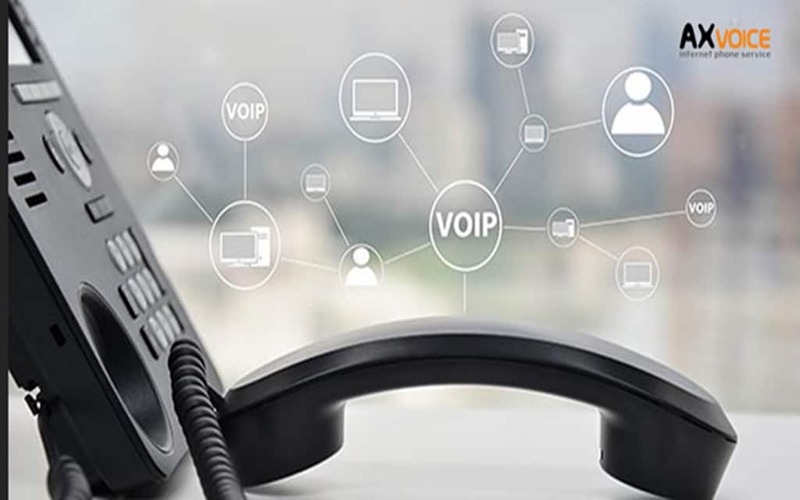 Compared to other VoIP service providers, that offer similar features and minute plans, Vonage happens to be more towards the expensive side, as after 12 months, the introductory rate expires. Vonage’s business services have been appreciated but the residential services did not gain many positive reviews. So our verdict: get Axvoice because it’s cheaper and offers comparable services to the leading VoIP provider.